Our team is looking for an experienced Account Director with more than 5 years senior account management experience, preferably in the learning industry, preferably services. As a successful candidate, you will help shape the long-term strategic direction of key accounts, including the development of account plans and facilitation of inputs from other internal stakeholders. Ideally, you will be quick thinking, innovative, tech-savvy, and most importantly, able to quickly cultivate relationships that focus on solutions that make real sense for client’s needs. You are a consultative salesperson, a confidante and you are excited to make your voice heard in the North American learning market and internally for the imperatives of US Sales at LEO Learning. - Ensure staff ownership and responsibility for projects from all members of staff on the team. - Implement effective tools for ensuring regular account touchpoints and an embedded, consultative, relationship. - Own all bids and proposals within your accounts, which means you ensure aligned implementation of RFPs, including pricing, legal, technology and LTG company-wide aspects. - Responsible for account profitability, negotiations and financial arrangements with clients. - Attend marketing events when appropriate to support the growth of the US business. - Establish and maintain a good working knowledge of all LEO & Group companies’ offerings. - Create and develop opportunities for growing existing business within current client pool for LEO and other LTG companies. - Know your accounts companies inside and out, know the stakeholders, structure, pains, promises, and hopes. You have an extensive account management experience. You preferably have experience in a digital agency or in the learning industry. You have experience creating productive mentoring relationships with junior sales people. You enjoy working with marketing and helping shape and deliver campaigns. You take responsibility for your actions and targets but recognize that working collaboratively often yields the best results. You have time for an environment that fosters continual improvement. Possess an eager spirit to learn what we do, and how we do it - on the job. You are a strategic listener, who is able to create good rapport from the first word. You are an innovative presenter, who likes breaking the mold in order to stand apart from the crowd. You have advanced written and verbal communication skills that are effective with both technical and non-technical audiences. You have a proven track record in risk mitigation, thorough sales handovers and escalation procedures. You are willing to quickly learn new competencies in order to facilitate productive client conversations. You are genuine, believable and someone others seek counsel with. You have a keen sense of humor and tolerance for humanity. LEO is a global leader in the creation of digital learning, working with the world’s top brands. These include Marriott, American Express, FEMA, MARS and Anheuser-Busch. We've won more than 80 international awards for our work, recognizing the significant contribution we've made to transforming learning in hundreds of businesses. With offices in New York, Atlanta, London, Brighton and Sheffield, we support our clients throughout the entire training and development lifecycle. Our services include blended learning, learning measurement, multi-device learning, mobile apps, learning portals, learning games, authoring tools and consultancy. LEO’s creative hub is based on our Studio model where teams of our visual designers and developers work with learning designers and accounts teams to deliver outstanding learning solutions to our clients. 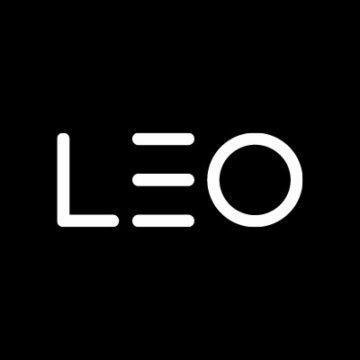 At LEO Inc we offer a competitive salary and a truly awesome benefits package including a Health Savings account, plus Medical, Dental, Visual, Disability and Life Insurance and a 4% matching 401K. This role comes with a competitive revenue based commission structure. We please ask that you are aligned with the understanding of the compensation package ($85-95k annual + revenue commission) before deciding to apply to this position. This role will be based in our Atlanta, Georgia office. We look forward to moving to a new office, in a nearby location in March 2019.